Most will agree with this familiar song lyric as the holiday season is one of the busiest travel times of the year. While many people’s minds are on their travel plans, checking items off of their gift lists, and seeing relatives, it’s easy to understand why taking care of your teeth can fall low on the priority list this time of year. However aside from forgetting your grandma’s gift, a toothache or chipped tooth can quickly deflate your holiday spirit! Before you head over the river and through the woods, be sure to look through Dakota Dental’s tips on how to handle dental emergencies this holiday season. Toothache: Be sure to gently rinse your mouth out with warm water and carefully floss to see if removing some stuck debris helps the issue. If the pain persists or you have a fever, schedule an appointment with a family dentist. Chipped, Cracked or Broken Teeth: These require a cold compress on the area and a call to a dentist. If you go too hard during a game of pond hockey and lose a tooth, make sure to hold it by the crown and rinse the root with water if it’s dirty. If you can’t hold the tooth in its socket, put the tooth in milk and get to a dentist for emergency dental work as soon as you can. Don’t let the risk of dental issues make you miss out on that hockey game or crunching on hard candies in moderation this holiday season. 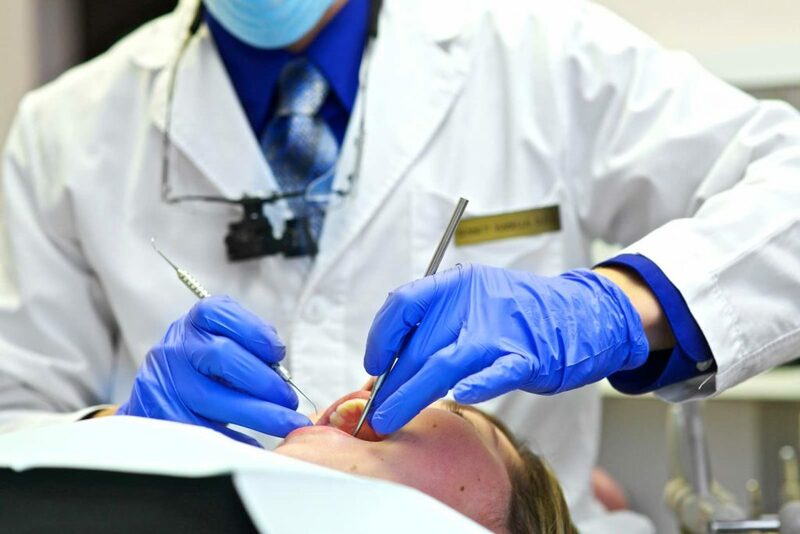 If you have any dental concerns, it’s best to address them before starting your travels. Be sure to schedule an appointment with the family dentists at Dakota Dental before hitting the road for the holidays. If you have a history of dental health issues, it’s especially important to schedule a cleaning and have a talk with your dentist to help cut down the chances of needing emergency dentistry services this holiday season. Call Dakota Dental today to schedule an appointment ­– and have a safe holiday!